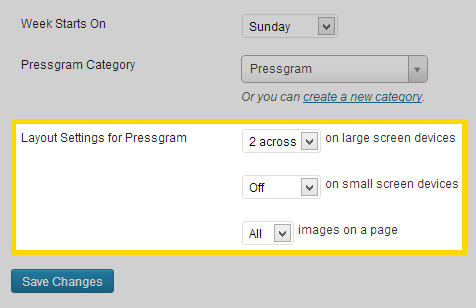 Layout Settings for Pressgram allows you to display your Pressgram category posts in a grid. Grid options are separated into both large and small screen devices. The options available are 2 across, 3 across, 4 across, 5 across, and off. 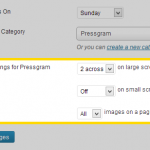 You’re also able to set the posts per page to allow more images to be displayed.